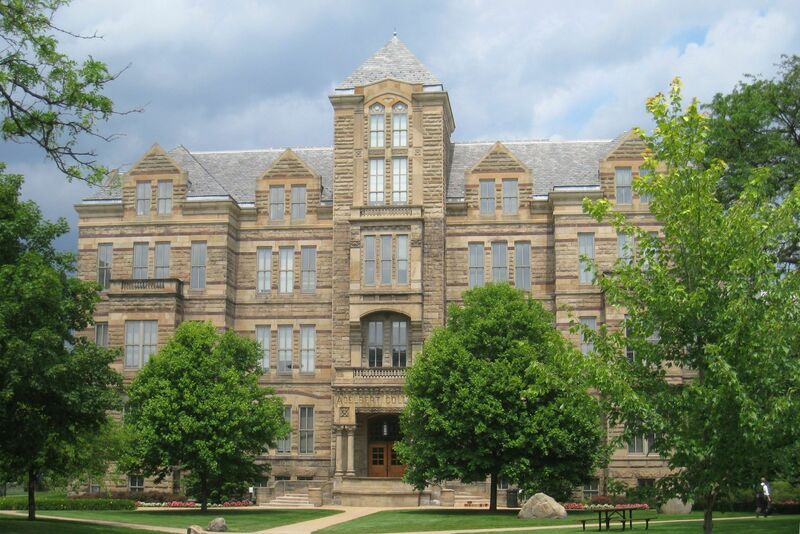 CWRU was founded in 1826 and is located in Cleveland, Ohio. More specifically, the college campus is located just minutes away from exciting downtown Cleveland on an 185-acre area of land called “Cleveland’s University Circle.” Additionally, CWRU has its own 389 acre farm that is located in Hunting Valley, Ohio! The college is made up of the Case School of Engineering, the College of Arts and Sciences, the Frances Payne Bolton School of Nursing, the Jack, Joseph and Morton Mandel School of Applied Social Sciences, the School of Dental Medicine, the School of Graduate Studies, the School of Law, the School of Medicine, and the Weatherhead School of Management. In 2015, as their website indicates, CWRU had enrolled 5,121 undergraduate students and 6,219 graduate and professional students. A wonderful feature of CWRU is the high-quality and diverse list of majors it offers to its students. With about 95 undergraduate degree options, 135 graduate and professional options, and about 140 dual-degree programs available, just about every student can find their dream major at CWRU! Moreover, CWRU has over 100 research centers and institutions that students can take advantage of. Being that research is such a large part of CWRU culture, all students are allowed to begin research projects as early as their first enrolled year. The college even has their SOURCE (Support of Undergraduate Research & Creative Endeavors) organization that helps assist students with their important and valued research projects. The CWRU mascot is the Spartans and sports are an important part of campus life as well! The university believes in a healthy mind and body and, therefore, offers over 50 sports to students. According to the official website, about half of enrolled students take part in some kind of campus athletics. As if all of that wasn’t enough, CWRU also has over 500 various and stimulating student organizations to choose from! CWRU students can decide to live on or off-campus and have several housing options available to them. Between all of the lively academic, athletic, and social activities on-campus, CWRU housing is a great place for students to thrive! And being only five minutes away from downtown Cleveland, with all of its museums, restaurants, and culture, is another incredible benefit to calling CWRU home! If you are a student looking for an intense yet fun university culture, who thrives on pushing beyond limitations and values being on the cutting edge of research, then Case Western Reserve University may be perfect for you!